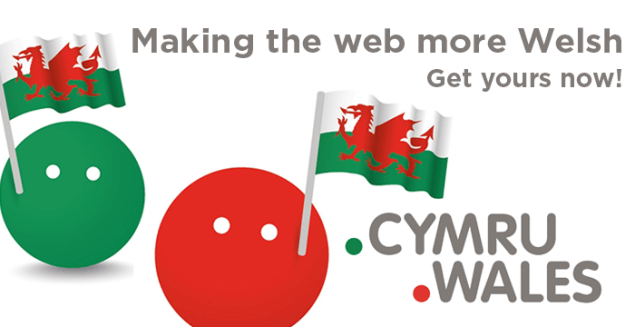 Is your business based in Wales or do you provide services or products targeted to customers in Wales – if so then you are now able to register .wales and also .cymru domain names. Local domain name extensions like these help to show potential customers where you do business and make them feel more comfortable using you. They give Welsh customers confidence in choosing your business and show how proud you are of this great country. They also make your business stand out in search engines so you become easier for your customers to find. They also give you the opportunity to purchase short domain names using these extensions as almost any possibility you can think of is still available ! We are proud to announce that we will be keeping our prices for new registrations AND renewals very low – in fact if you check most of our big rivals, you will see that we are cheaper than all of them ! In addition we are also offering a 50% discount (via coupon code WALES-CYMRU) on the purchase price of of the second domain if you buy both together – something else that very few if any other registrations companies are doing ! In order to check whether your choice of domain is available – click here and remember the discount for purchasing both versions.